Just returned this past Friday to Oklahoma City to take the 52 PICK UP class with Stephanie Ackerman. 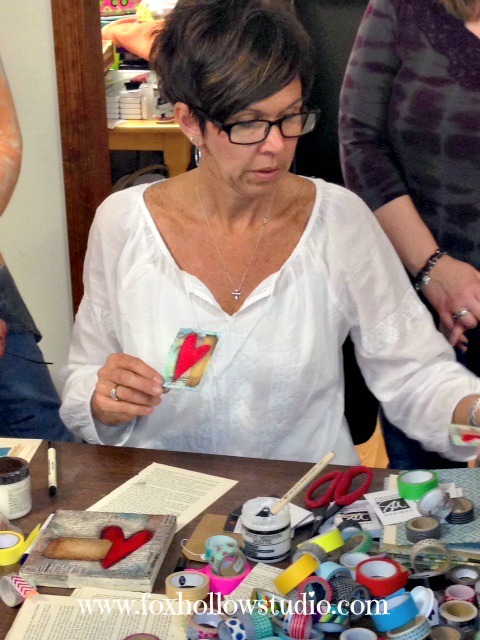 Class was held at My Heart's Fancy, a wonderful little shop packed full of great stamping and mixed media supplies. I took a class from Stephanie last year when she came here. 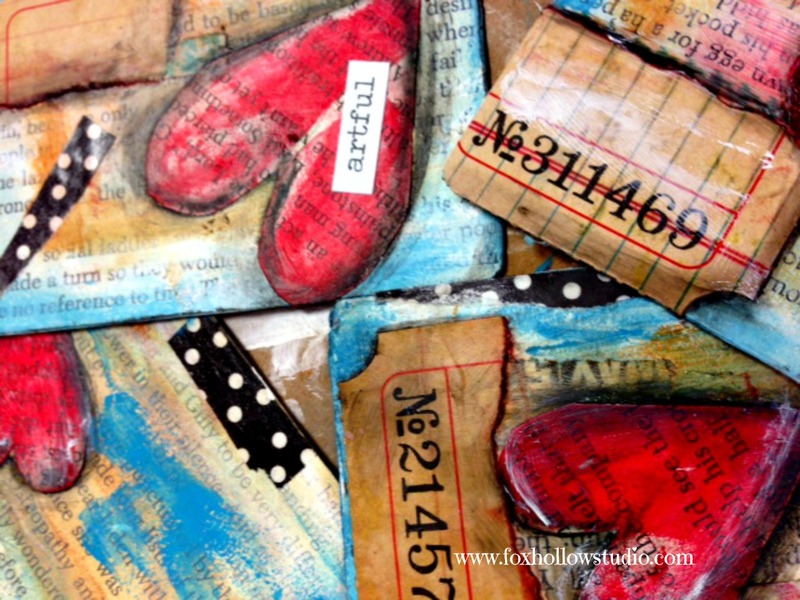 What you are seeing here are playing cards, that are transformed with paint, ink, words, rubons, stencils, wash tape, whatever comes to mind, and you are creating cute little cards that can be made into tags, added to cards, or add an inspirational verse or wording to give to a friend. Small, takes little space and lots of fun to make. Stephanie is a beautiful spirit and great teacher. 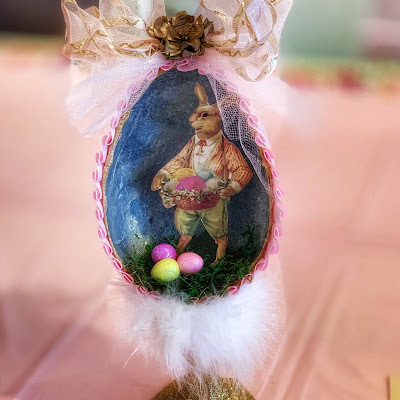 I have read her blog for years, and watched her evolve into a fabulous artist. She has taken her beautiful hand writing she calls doodling, and made an empire of it. Check out her blog on the link. You will love her art. 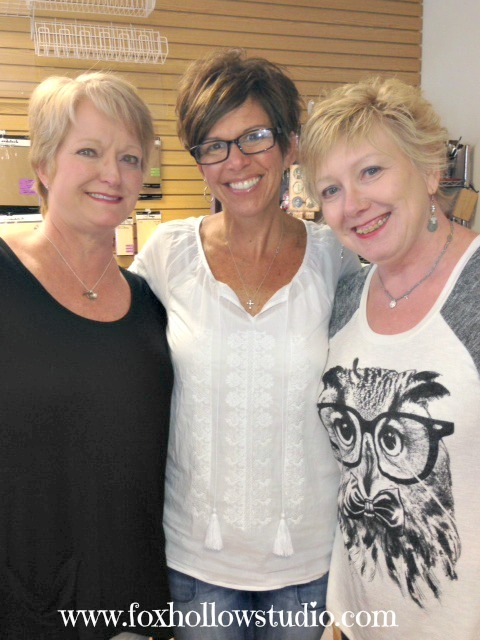 Here is a pic of my art sister, Sheryl, Stephanie and me. What a great day! I really wanted to go to this but had another commitment. It would have been good to see you and sister! Looks like a great class.